In blender, place ice cream and milk. Cover; blend on high speed until smooth and creamy. 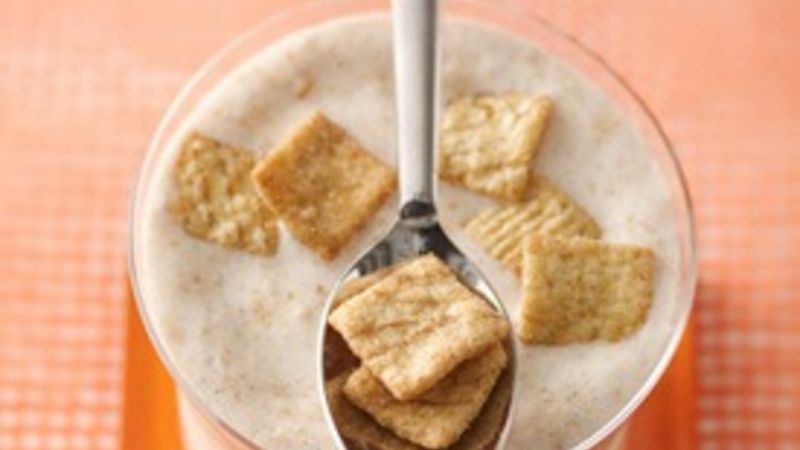 Add cereal; blend about 5 seconds or just until cereal is slightly crushed. Pour into 2 glasses. If desired, top each serving with tablespoonful of cereal. Serve immediately.